If you’re looking for floors with texture and character, like the hardwoods inside historic Wilmington homes, but you don’t have a century to spare, distressed wood flooring may be your answer. Distressed wood flooring undergoes aging through wire-brushing, etching, and even hand-scraping for a beautiful, antique look. Considering new flooring for your home? Here’s what you need to know about this popular option. 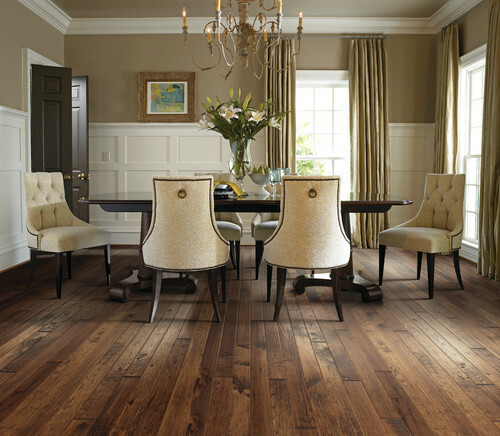 Both solid hardwoods and engineered woods can be treated for the distressed look. Flooring can be highly distressed, with board-to-board variation, unique stains, and even pits and nail holes, or lightly distressed for a smoother, more finished style. Naturally, distressed wood flooring is a great choice for traditional homes or farmhouse-inspired spaces. 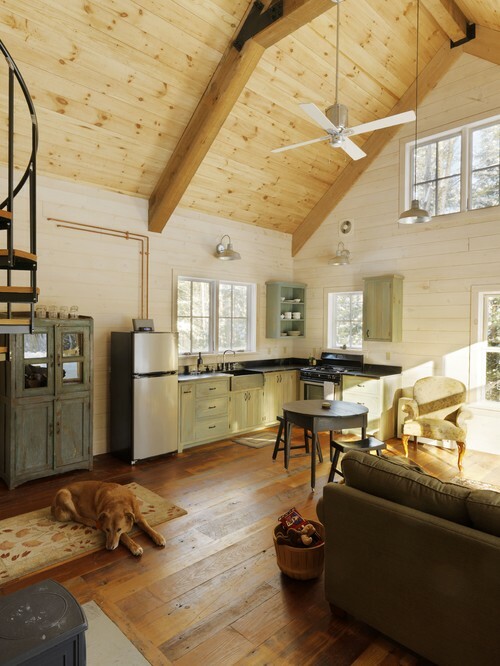 The highly distressed look is ideal for a rustic, country cabin look. But distressed floors are also beginning to appear in more eclectic, contemporary spaces where rugged wood provides an attractive contrast to clean, modern lines. They’re versatile. Distressed wood floors match a number of different styles and aesthetics. They’re available in multiple plank sizes and widths, and colors ranging from dark gray timber to warm hickory to pale white oak. They’re kid and pet-friendly. Distressed floors come with marks of high traffic already, so any additional scuffs or scratches are no problem. They’re built to last. Unlike truly time-worn floors, distressed wood floors are brand new and built to last for years to come. Ultimately, the reason why we love antiques and old homes is that they’re perfectly imperfect. They show signs of age, but they’re timeless in design and full of stories. For perfectly imperfect flooring, consider distressed wood floors for your home. At Crystal Carpet & Flooring, we’ll help you find the perfect plank size, width, and color to perfectly suit your style and space. Contact us today to get started.